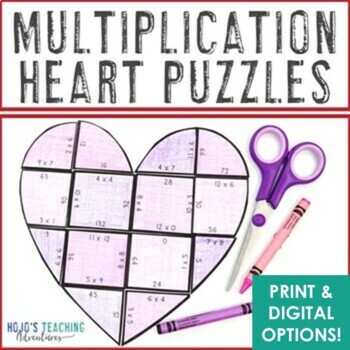 These multplication heart math puzzles make it quick and easy for teachers to provide hands on games that meet the needs of all students. Use them for Valentine's Day, Mother's Day, Father's Day, Grandparents Day, or anytime you want to show the love. They work great as activities, centers, stations, or games. With a no prep option - these are the perfect last minute resource for your 3rd, 4th, or 5th grade students! WANT TO SAVE SOME MONEY? Grab my MULTIPLICATION HOLIDAY & SEASONAL MATH CENTERS BUNDLE to save over 30% and have great downloads to use all school year long. • Fantastic resource for group work. It really gets the students thinking! • Loved this! My students loved having the opportunity to be creative and cut/glue for once during math! • I gave this to my high/gifted learners for enrichment. The students really loved it. Thank you for a cute product! 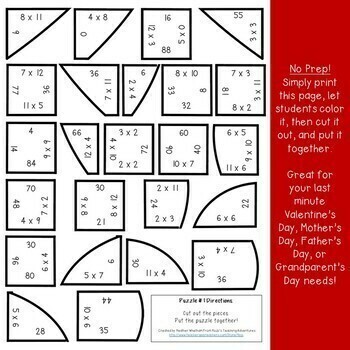 • My students LOVED this activity. It was a great review. I loved that it had multiple versions. 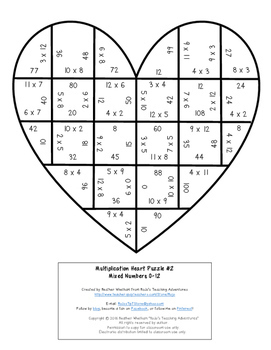 • We love all of your multiplication puzzles! Thank you for creating incredible high quality resources! • This is super fun. I had my students work in groups to solve this. The students had a great time. 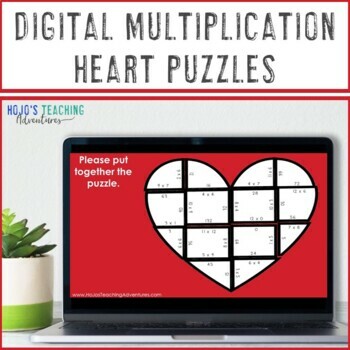 If you want multiplication puzzles you can use at ANY time of year, check out these Multiplication Magic Square Puzzles.